Apple is pursuing a European Union trademark for Apple Pay Cash, a service initially set to launch in the U.S. this fall alongside iOS 11. The company submitted an application to the E.U. Intellectual Property Office just this Thursday, LetsGoDigital noted. Its representative in the matter is Locke Lord, an international lawfirm that has submitted Apple applications in the past. While Cash will be U.S.-only at first, Apple typically aims to spread new features as quickly as possible. In this instance the company may waiting to scale up, and/or complete any necessary negotiations with European banks. Currently, several European countries offer Apple Pay: France, Ireland, Italy, Russia, Spain, Switzerland, and the U.K. Others, such as Germany, could be announced at Apple's Sept. 12 press event. 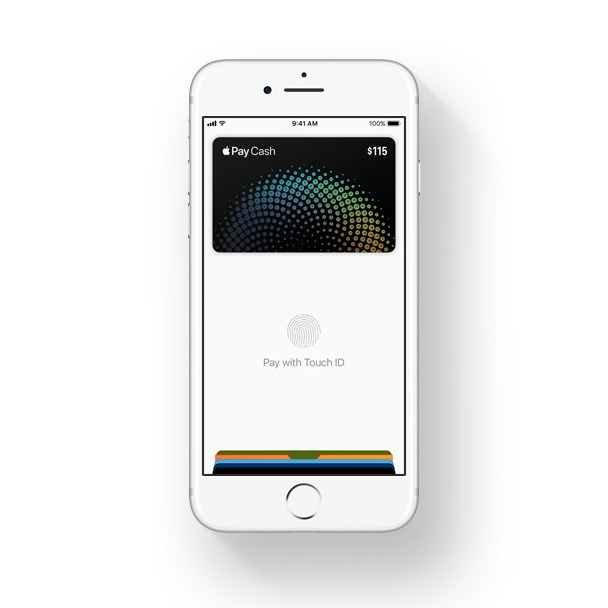 Apple Pay Cash is a PayPay-style holding account from which people will be able to spend on purchases or transfer to a bank account. Its main purpose, though, will be supporting person-to-person transfers through the iOS 11 Messages app —something that will also be restricted to the U.S. at launch. iOS 11 is still in beta, but could see a final release shortly after Sept. 12 if Apple follows normal patterns.